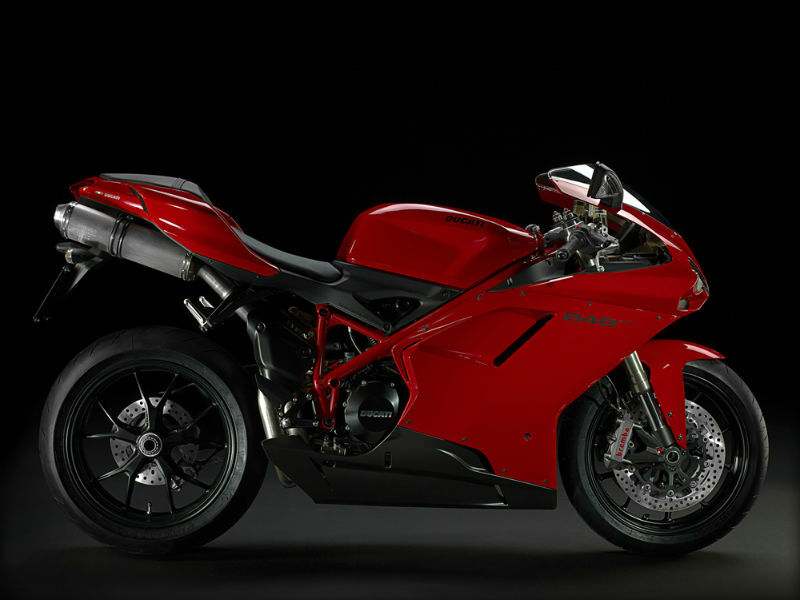 Ducati Superbike 848 EVO is extremely stylish bike with all new technological features to assure great riding experience. Read the review to explore the features, technical specifications & price. 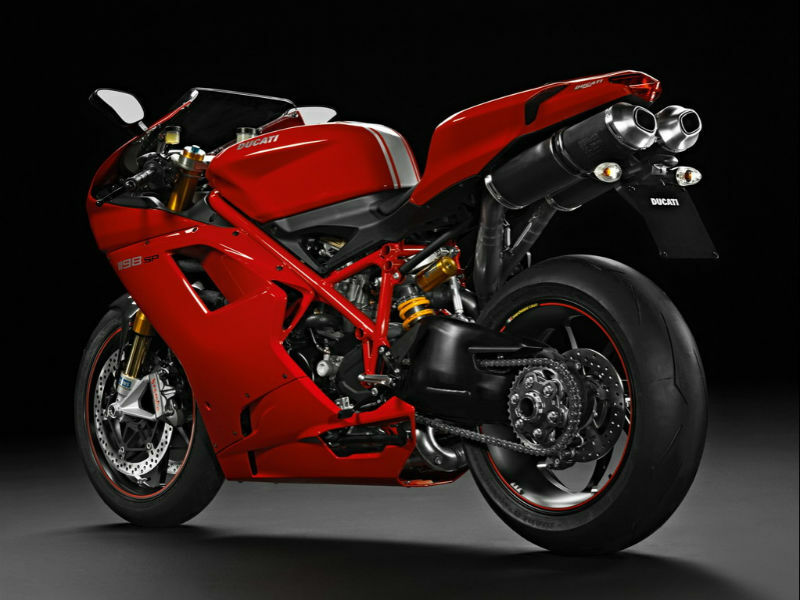 Ducati's stylish and eye catching motorcycle Superbike 848 EVO is sure to attract every passerby on road. The curves and lines used on its body and the elegant structure of its headlamps definitely serve as the highlighting factors about the motorcycle. The chrome finished parts and jet black wheel finishing are other fashionable features never to be missed. It is not only about the design the technology and the safety that comes with the bike is also of high quality. The bike comes with powerful liquid cooled, L twin, Desmodromic, Testastretta Engine which is treated with EVO to increase the power and torque generated which thereby helps in greater performance. Further the engine is packed with new camshafts, lightweight clutch and vacural crankcases promises good performance. The maximum power output is about 103 kw at 10,500 rpm and the highest possible torque is 98 Nm at 9,750 rpm. With the attractive huge sleek lines on the body and trendy shining colors, the vehicle appears like a real hero. The design used in structuring the body of Superbike 848 EVO not only serves the style but also checks the aerodynamic efficiency which helps the rider by giving greater control. The digital instrument panel with the LED backlight serves as other major attraction of the vehicle. Further the biggest highlighting factor about the motorbike is its fairing covering most of the naked parts of the vehicle. Built with the tough body and strong suspension, riding this bike is all new experience. When it comes to the quality construction, superbike 848 EVO has plenty of things to talk about and one among them is its light weight Trellis frame built for higher speeds. Further the suspension of the vehicle including the front Showa 43mm fully adjustable usd forks and the rear progressive linkage with fully adjustable showa monoshock and aluminium single-sided swingarm guarantee the smooth riding of the bike. Adding to this the powerful disc brakes used give complete control of motorbike to the rider. This dynamic bike is expected to give good mileage but the exact figure of it is not known. 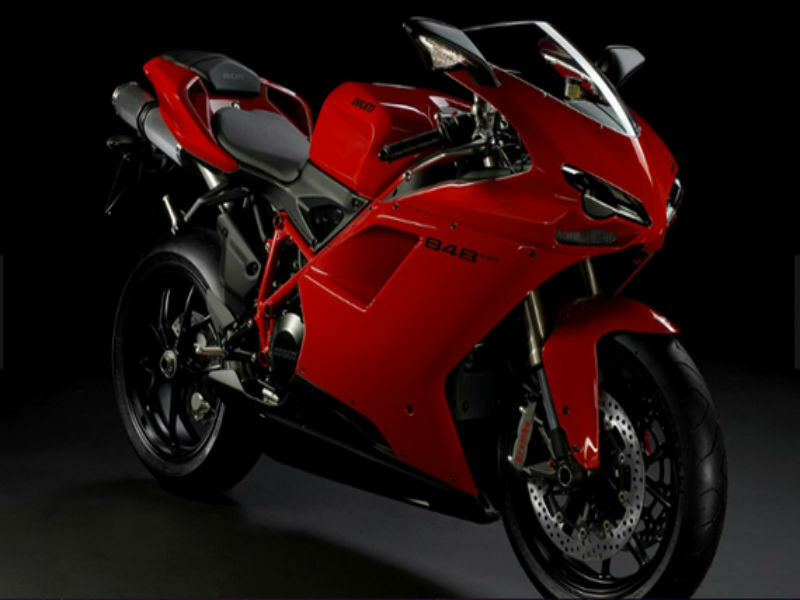 This classic sports bike is available in three different colors namely Red, Arctic White Silk and Dark Stealth. The ex-showroom price of this vehicle is about Rs. 15,18,000.